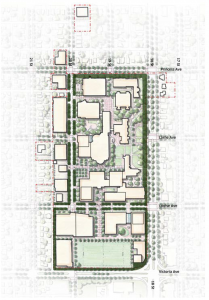 The north and east edge of the Campus is defined by a mature tree canopy and hedge landscaping that provides a very green edge to Princess Avenue and 18th Street. 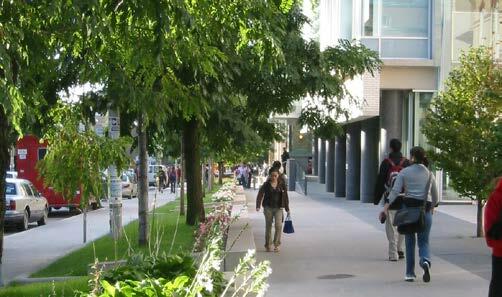 This mature landscape reflects the green character of the surrounding neighbourhood, which makes the Campus feel like it is part of the neighbourhood fabric. The tree canopy represents a significant part of the University’s original heritage landscape, but it needs to be maintained so that it is not a visual barrier to the Campus at ground level. 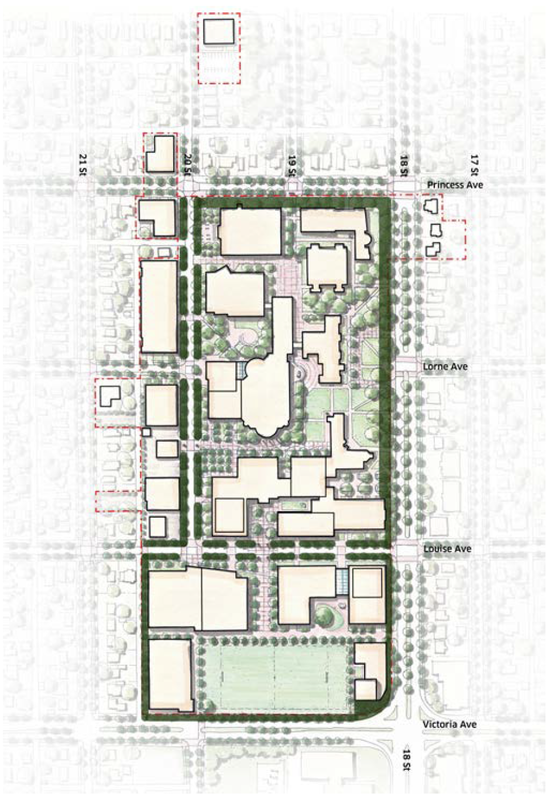 The edge landscape is an important open space typology but should be designed to create a more open, welcoming, and accessible face to the Campus. Conserve the heritage canopy but enhance it’s physical structure to allow for clear views and access into and through the Campus. All trees including existing evergreens should be limbed up to provide a minimum 6-8 foot clearance underneath the tree canopy. This allows for increased comfort and safety of spaces framed by the trees. All hedges along the Campus edges should be removed. 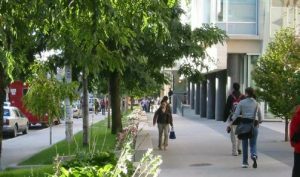 Generally hedges should not be used on the Campus as part of the landscape design unless used as a screen for loading and servicing areas. Hedges in such instances should be of a height no greater than 6 feet. 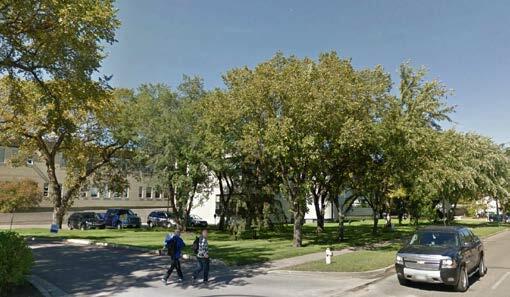 Additional deciduous tree planting is encouraged south of Lorne Avenue and along Victoria Avenue to achieve a continuous overhead tree canopy along the periphery of the Campus and to add to the overall canopy for the neighbourhood.